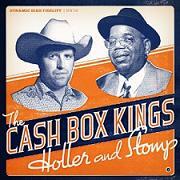 The Cash Box Kings new album on Blind Pig Records, Holler and Stomp, is an interesting project by some of the best blues musicians on the scene today. In recent years, the group has been a revolving collection of some of Chicago’s finest players. At the helm are vocalist and harp man Joe Nosek and vocalist Oscar Wilson. They are joined by guitar and bass phenoms, Joel Paterson and Jimmy Sutton respectively. Drummer Kenny “Beedy Eyes” Smith rounds out the core band on this album. Also providing backup on most of Holler and Stomp’s twelve tracks is guitarist Billy Flynn as well as pianist/organist Barrelhouse Chuck. It just doesn’t get any better than that. So what do these Chicago blues stalwarts do on their Blind Pig records debut? They pay tribute to that place where blues meets country. That place has many intersections in our nation’s musical history, not the least of which is Memphis, Tennessee circa the 1950’s. The album is imbibed with the hybrid sounds of the Sun Studios of this period. It is the type of music which always gets stamped with a variety of labels. Is it blues, rockabilly, country, rock and roll or rhythm and blues? I’ve got a label for this album: American music at its finest. It is wonderful to hear musicians of this caliber try and express through their original material, written for the most part by Joe Nosek, a feel where American music has traveled and where it is going. The album opens with the title track written by Nosek but it sounds like it could have been written 60 years ago. Great blues is timeless and Joe and the fellas understand thatm as evidenced by virtually every track on this record. Guitarist Joel Paterson’s slide, winds its way through this song which only hints at what lies around the corner. On That’s My Gal, vocalist Oscar Wilson’s relaxed, lived in vocals are out in front of an Excello style swamp blues riff. This Paterson original has the incredibly versatile guitarist playing a spongy line in this tune that sounds like it came right out of a Slim Harpo song. Throughout the album Paterson moves gracefully between styles and infuses every note with the various subtle textures that each tune demands. The song Off the Hook is an old Rolling Stones tune that sounds wonderfully outdated as a reference to a phone as having a “hook”. Barrelhouse Chuck’s funky organ adds to the fun of this tune’s retro groove. The band moves comfortably from the Rolling Stones to a song from the man who gave that band their name, Muddy Waters. Paterson plays some Muddy style slide while Nosek’s sympathetic acoustic harp compliments Wilson’s strong vocal performance on the track, Feel Like Going Home. On the Joe Nosek original, Fraulein On Paulina the band swings behind the great bass of Jimmy Sutton. On the song Hayseed Strut, another Nosek original, Paterson picks up an acoustic guitar and Billy Flynn plays mandolin to great effect on this country flavored instrumental. The song also has a wonderful Barrelhouse Chuck old timey piano solo. Paterson and Wilson then channel the country blues of Sam “Lightnin’” Hopkins in the song Katie May. Sara is another Nosek original that features another fine turn behind the mic for this fine vocalist. The song has a driving beat and absolutely stunning guitar again provided by Joel Paterson. The tune Barnyard Pimp was written by vocalist Oscar Wilson. This is an interesting tune that sounds like a traditional Chicago blues, yet has a hint of a Texas shuffle and a dash of rockabilly via Jimmy Sutton’s dog house bass. The band pulls these seemingly disparate musical strains together in this song and others on the album in an effortless manner that doesn’t attract undo attention to the incredible talent of the individual musicians. It is, after all, about the song. The talent on this album is in the service of the great material. Oh My Baby’s Gone is a song by the great and largely underappreciated songwriter Ray Sharpe. This number gets the Cash Box King’s treatment that includes bassist Jimmy Sutton stepping up to the mic and howling at the moon that his baby’s gone. The band then takes a Hank William’s song out for spin. Paterson moves his guitar into Chet Atkins territory for this number. On the albums final track, an instrumental entitled, Tribute to the Black Lone Ranger, Billy Flynn takes over lead guitar duties and shows why he, along with Paterson, is one of the two finest guitarists on the Chicago scene or anywhere else for that matter. Even Sutton and drummer Kenny “Beedy Eyes” Smith step up to the front of the mix for a brief moment in the spotlight. The Cash Box Kings are able to demonstrate through their musicianship and style just how pliable and adaptable the blues can be. 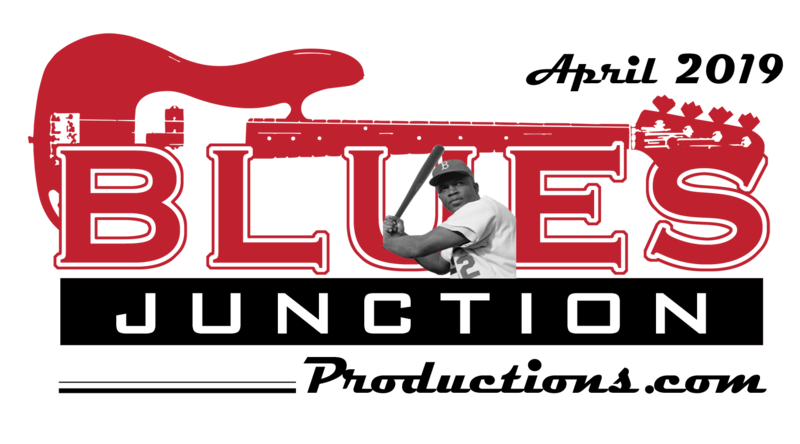 They show that you can take the blues idiom in its most deeply rooted form and add to this language without smothering that language in the process. When listening to Holler and Stomp I feel like I just went back in time and am leaning against a bar in an old roadhouse somewhere off a lonesome country road. It is times like this when the sound from the jukebox bouncing off smoke stained walls, lit by a dozen or so neon beer signs that music can’t possibly sound any better. It doesn’t get much better than this October, 2011, Blind Pig release by the Cash Box Kings. I think I can hear somebody Hollerin’ and Stompin’ right now.